There is a continuing thread of playfulness and enquiry in Davina’s practice based research that connects a diverse career spanning theatre design, public art, socially engaged practice, and collaborative inter-disciplinary academic projects with the discipline of training in architectural glass, vitreous enamel and print. 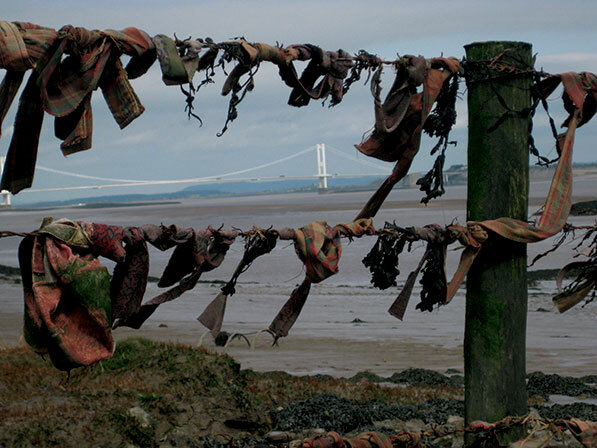 In 2010 she completed an MA in Multi-Disciplinary Print at UWE, which formed the basis of her PhD received in 2017 – Grief and loss, living with the presence of absence: A practice based study of personal grief narratives and participatory projects. She is currently the 3D3 NCIP Medical Humanities Research Fellow at Plymouth University creating opportunities for different sorts of conversations about pain through arts based methods, immersive environments and serious play.